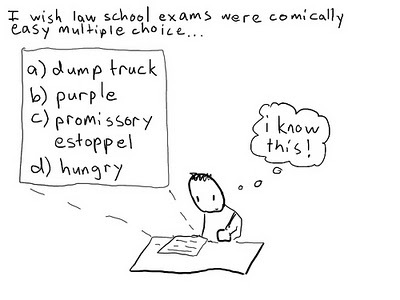 The best advice on how to study and write an exam often comes from the law professor who teaches your class. Brooklyn Law School Library offers study rooms and extended hours to assist its law students. Study rooms can be reserved between Monday, December 6th through Wednesday, December 22nd. Reservations must be made at the Library Circulation Desk. Use the Study Room Reservation Sign-Up Book to make your reservations. Students can make a reservation one day in advance. Begin to sign-up starting on Sunday, December 5th. These hours have been posted on the library bulletin boards. There is also a link to the library hours for the academic year on the library web page.